This week on the ONCEKids blog, Golden Week is discussed. Click to learn about Golden Week's Green Day. 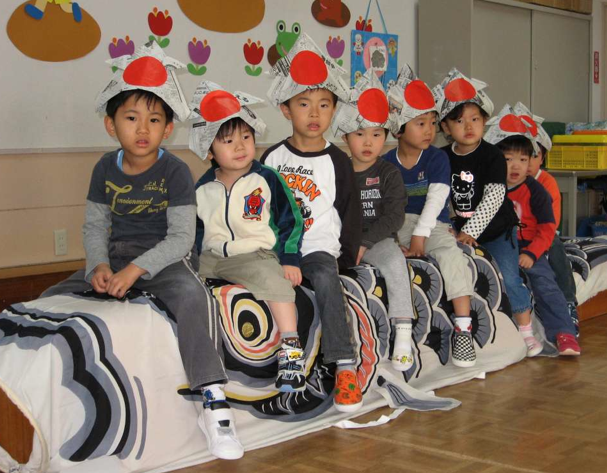 Golden Week in Japan is concluded with the national holiday known as Children's Day! This is a day dedicated to the celebration of the healthy growth and happiness of children by their families. 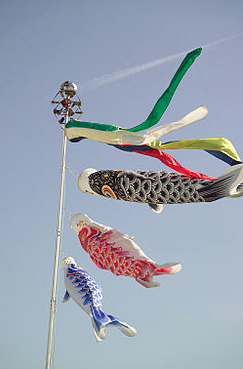 It became a national holiday in 1948, but has been celebrated by families in Japan since ancient times. It is suspected that the celebrations began during the reign of Empress Suiko, who ruled from 593-628 A.D. It became assigned to the 5th day of the 5th month after the Nara period. Traditionally, the 5th of May was called Tango no Sekku and was a festival exclusively for boys, while girls had a festival that occurred on March 3rd. It has since been changed so May 5th includes both boys and girls. On Children's Day, families with children fly carp-shaped steamers outside the house and display dolls of famous warriors inside. Families also often take baths sprinkled with iris leaves and roots. The iris is thought to promote good health and ward off evil. It is also traditional to eat rice cakes wrapped in oak leaves and filled with sweet bean paste, called kashiwamochi. Each year, there are many events to highlight and celebrate children on this day. Kyogen, a type of comic theater, was founded around 600 years ago and is performed with traditional costumes and distinctive styles of acting. One year, at the Yokohama Noh Theater, a kyogen recital was held featuring 18 actors between the ages of seven and thirteen. The kids had attended practices one or twice a week since the previous summer to learn the unique comic expressions, movements, and uses of the fan. The theater was packed with friends and parents, both entertained and impressed by the children's performances. This national holiday, celebrating children around Japan, is the perfect way to end the week of celebrations and festivities known as Golden Week! Lady Gaga Kicks off In Seoul but snubs China? Lady Gaga's first dates for the The Born This Way Ball Tour are coming up! The first stop on the 110 date tour is Seoul, South Korea next week on April 27th. She arrived yesterday in Seoul a week before her highly anticipated and controversial show. Young Koreans are very excited and the tickets have sold tremendously well. After her kick-off in Seoul. Gaga is headed to Hong Kong on May 2nd. Her Asia tour has several more stops including Tokyo, Thailand, Indonesia, Singapore, the Philippines then heading to New Zealand and Australia. Questions have been raised as to why there are no mainland Chinese cities included in Lady Gaga's tour. In fact, her only brush with the Chinese market is Hong Kong on the 2nd. If her tour is avoiding the mainland shores, perhaps it is because her music was deemed "vulgar and inappropriate" by Chinese authorities, along with artists like Katy Perry. Can't wait to hear some of the feedback! Have fun if you are going. K-pop has enjoyed huge success throughout Asia, its popularity and influence increasing each day. The enormous success in K-pop artists' expansion into the Japanese pop music scene has encouraged agencies SM, JYP, and YG to begin to look more aggressively at the American market. It has been difficult to crack into the American market but the agencies and stars are not letting the failed attempts of the past discourage them as they prepare to try again this year. SM spoke of the success that Girls' Generation has enjoyed in their transfer to the American Market. The group recently met with multiple press in America such as E and Associated Press. The girls will also appear on "Late Show with David Letterman" and "LIVE! With Kelly." The Heatseekers Album chart on Billboard ranked their album 22nd out of 25. The five-member group, Wonder Girls, has been JYP's focus for its transition into the American Market, but their ability to succeed is still being questioned. On several talk shows the girls have confessed they are finding learning English a challenge. Despite difficulties, the group is not giving up. The girls' made-for-TV movie, "The Wonder Girls," aired on Teen Nick in February. The public can't seem to get enough of the cuteness of a giant panda. Last year, 4.4 million visitors flocked to the Ueno Zoo in Tokyo to see Ri Ri and Shin Shin, a male and female giant panda. 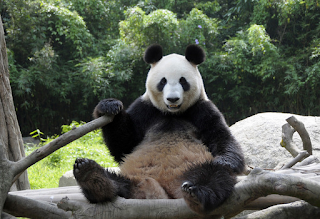 For foreign zoos, hosting a pair of pandas can cost $500,000. For wealthier countries, such as Japan, it can cost around $1 million. The animals remain the "property" of China, even when hosted in foreign countries, so the payments go toward the Chinese government. This also means that if something goes wrong, the foreign zoo has a lot of explaining, and a lot of paying, to do. This happened at Prince Zoo in Kobe City in 2010, when a 14-year old male panda, Xing Xing, died during the keepers' attempt to collect sperm to use in artificial insemination. Xing Xing vomited gastric fluid, breathing the acidic mixture into its lungs, which caused the panda to suffocate. Kobe City had to pay $500,000 to China for the unfortunate incident. Even without unexpected deaths, giant pandas can still be extremely challenging to care for. For example, females spend less than 1 percent of the year engaging in sexual activity. If that one to three day window of time in the spring is missed, it will be an entire year before they can try again. Anesthetizing animals to collect sperm is a very risky procedure, so researchers and zookeepers try very hard to get giant pandas to breed in captivity. The most successful captive breeding is done at Chengdu Research Base of Giant Panda Breeding in Sichuan Province, hardly anyone outside of China has managed to breed giant pandas. In 2010, the research base announced that it had met its goal of breeding 300 pandas. Breeding is only one part of the process-- pandas must also be returned to the wild. Preserving their diminishing habitat is a hot topic. We remain hopeful as the Chengdu center is conducting a three-year panda study. Let's hope they send out the best looking pandas so they are sure to find each other attractive. The Fujimini Adventure Series is introducing Rainbow Panda in an upcoming book. This panda attracts others with his multicolored coat and usually has some fireworks to add spark to any activity! The new title "Rainbow Panda and the Firecracker Fiasco" will be available this summer; check out our other five titles! 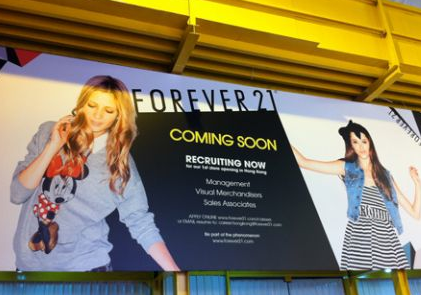 A new trend, known as "fast fashion" retailing, has recently become increasingly popular. This is thought to be the apparel sector's equivalent of fast food. U.S. retailers, such as Abercrombie and Fitch and Gap, have plans to set up up shops across Asia, with their first store opening in the Hong Kong business district in a few months. Abercrombie's expansion plans could potentially hurt Asian brands such as Giordano or Esprit. Many Asian shoppers have begun to embrace the new specialty stores with higher inventory turn over, especially with the emersion of a new middle class with more disposable income. These brands are known for their limited run of new designs in as short of a time as two weeks. Market data research firm Euromonitor International predicts that within four years, the Asia-Pacific apparel retail market will be 35% bigger than that of Western Europe. Leading the globe last year, Asia-Pacific's clothing market advanced 7.6 percent to $462 billion. Abercrombie has taken a 21,000 square feet space in the Knightsbridge nail in Singapore, the first Abercrombie store in outheast Asia. Zara, owned by Inditex, the world's largest clothing retailer, just opened a new store in Sydney and Melbourne. The British clothing chain Top'shop opened its first Osaka store in Japan last May. These expansions are helping the companies' profits and it is planned that 120 stores will open in China by the end of this year.